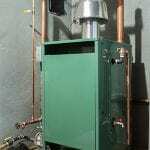 We offer a full range of heating services in the Simpsonville area, including installation, maintenance, repairs, and replacement. Even though the weather here in Simpsonville, South Carolina doesn’t come close to the frigid temperatures our northern states do, you still need to be able to rely on your heating system to make your family comfortable when the temps dip below freezing during the night or hover in the 40s December through February. You will have complete peace of mind when you trust us at Air Kool Heat & Air to keep your heating system operating properly. Being comfortable is just part of the equation when it comes to your heating system. While operating properly is important, it is also necessary for it to operate efficiently. 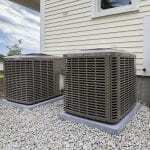 The best way to keep your heating costs under control is to have us regularly inspect and tune-up your heating system. 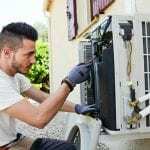 Besides saving on utilities, you can also enjoy fewer instances of costly repairs because we catch small things before they become larger problems. 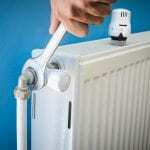 One other thing to know about regular maintenance for your heating system is that it will enable it to last as long as possible. If it isn’t working properly, it is working harder, and that is ticking off the days it will last. The manufacturers know this, too, so they usually require you to have regular maintenance performed to keep the warranty active. 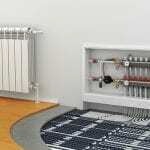 If you would like to know more about our heating services, which include installation, maintenance, repairs, and replacement, don’t hesitate to contact us. Even after hours, we can help you can arrange emergency repairs quickly. We look forward to adding you to the list of satisfied customers we’ve helped in our more than 20 years of NATE-certified service. At Air Kool Heat & Air, we offer high-quality heating services in Greenville, Simpsonville, Mauldin, Gray, Court, Greer, Clinton, Laurens, Fountain Inn, Taylors, Easley, and Powdersville, South Carolina.